At JWO Jewelers we offer beautiful watches for Him & Her and also offer watch repair! 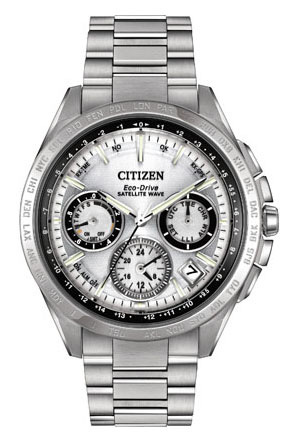 Why buy your Citizen Watch from us instead of directly online? We handle the shipping process, make sure the watch is in perfect condition, take out needed links, service the watch and simply give you the personal service that you deserve for years to come. 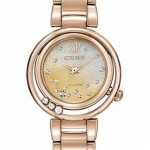 Citizen offers an extensive range of timepieces suitable for all occasions. From the “unstoppable” brand Eco-Drive, to the sports professional Promaster, Citizen is your ideal destination for gift giving or rewarding oneself. Selected ladies models are designed with an elegance of hand-set diamonds or Swarovski crystals, and selected gents models embrace the most advanced technology such as the minute repeater or the world time. At JWO Jewelers we also offer full service watch repair. Grammy Award winner Kelly Clarkson has released 6 studio albums, 1 Greatest Hits Album, sold over 20 million albums worldwide and has had 10 singles in the top 10 Billboard Hot 100 Singles Chart. She’s received 3 Grammy Awards, 4 American Music Awards, 3 MTV Video Music Awards, 2 Academy of Country Music Awards, 1 CMA Award and 12 Billboard Music Awards. Clarkson’s Stronger was certified platinum, won a Grammy for Best Pop Vocal Album and produced the smash singles, “Mr. Know It All” and “Stronger (What Doesn’t Kill You)” which marks Kelly’s 9th and 10th Top 10 hit. “Stronger (What Doesn’t Kill You)” was #1 on Billboard’s Hot 100 Chart for two consecutive weeks marking her 3rd #1 on the Hot 100 chart. Kelly spent 2013 touring with Maroon 5 and recording her first Christmas Album, Wrapped in Red. The album debuted at #3 making it the biggest holiday album debut for a female artist since 2010 and was certified platinum. At JWO we believe in options for our clients and offer Citizen Eco-Drive Watches and yes we can custom order for you. What are the advantages of purchasing your watch from us? Well we are local, we are an authorized dealer and can help maintain your beautiful watch and do all the communication with Citizen for you. The warranties are the same and our pricing is fair. KELLY CLARKSON LINE FEATURES MANY ELEGANT, YET FUNCTIONAL OPTIONS SUCH AS THE NIGHT HAWK, THE L SUNRISE & THE CIRCLE OF TIME FEATURED BELOW.